A box of 1000 plastic buckles for 12mm hand strapping. These should be used if strapping tools are NOT being used to aid the strapping, hence if you are doing purely manually. 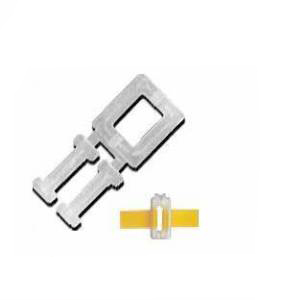 If you are using tools (advised) such as a sealer & tensioner or combination tool, you need to purchase the semi-open metal seals which you can find on our site. For advice or guidance on strapping, please contact us on 0845 224 3691 and ask to speak to one of our product advisors.